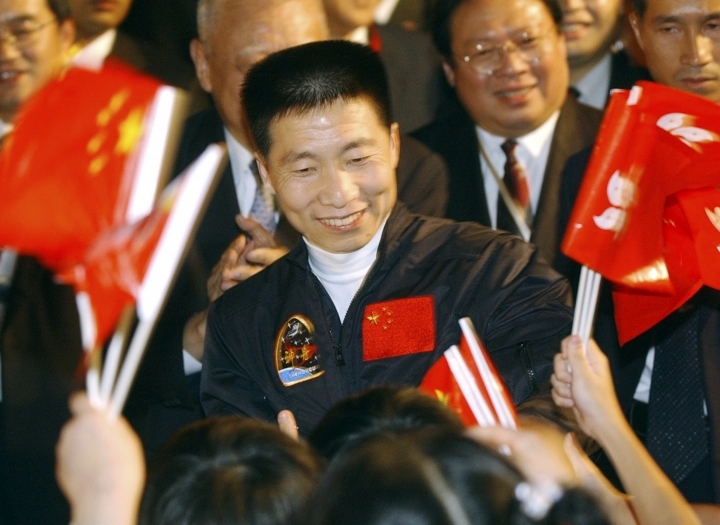 BEIJING — China will begin recruiting civilian astronauts for its military-backed space program and plans to increase the number of crewed missions to around two a year, a top official with the country's space program said. China's third batch of astronaut trainees will include recruits from industry, research institutions and universities who will help build and crew China's independent space station, Yang Liwei, deputy director of the China Manned Space Engineering Office, told reporters on the sidelines of the annual session of China's ceremonial parliament. New astronauts will include maintenance engineers and payload specialists as well as pilots, Yang, who became China's first man in space in 2003, said Saturday. China now operates the Tiangong 2 precursor space station facility, while the permanent station's 20-ton core module will be launched this year. The completed 60-ton station is set to come into full service in 2022 and operate for at least a decade. China was excluded from the 420-ton International Space Station mainly due to U.S. legislation barring such cooperation and concerns over the Chinese space program's strong military connections. Since China conducted its first crewed missions — becoming only the third country after Russia and the U.S. to do so — it has staged a spacewalk and landed its Jade Rabbit rover on the moon. A mission to land another rover on Mars and bring back samples is set to launch in 2020. China also plans to become the first country to soft-land a probe on the far side of the moon.